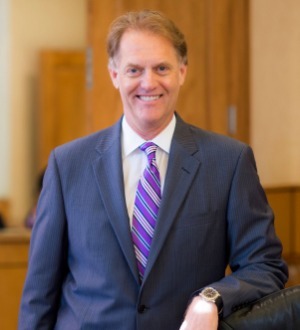 His strong business background and organizational skills enable him to effectively manage the cases of thousands of plaintiffs and the attorneys working on them as he builds liability cases against some of the largest and most profitable corporations in the history of the world. Hahn is proud of his watchdog role to protect consumers and to serve as an important check to wealthy companies that rush drugs and medical devices to market without a full grasp of the detrimental side effects that have the potential to harm thousands of people. He attended the University of South Carolina School of Law and joined Ness, Motley, Loadholt, Richardson & Poole in 1992. Hahn was a founding member of Richardson, Patrick, Westbrook & Brickman in 2002, and led the firm’s successful pharmaceutical litigation team. Hahn has been married for 30 years and has two grown children. He lives in the Charleston, South Carolina area and enjoys yoga, sailing, windsurfing and water skiing. He is author of two children’s books, My Purple Toes and My Purple Kisses, and is a successful real estate developer. Recently, Hahn entered the entertainment industry. He has partnered to create Black Bear Studios, a film and television production company and studio in Charleston that is seeking to reinvigorate what once was a thriving industry in the region, which is known for its historic charm, rich storytelling and a beautiful environment conducive to year-round filming. In addition, he has launched Producer Capital Fund, an independent film financing company and Media Toaster a full service post production house with offices in Burbank and Charleston.